You might be wondering… What is Send Me Gluten Free? 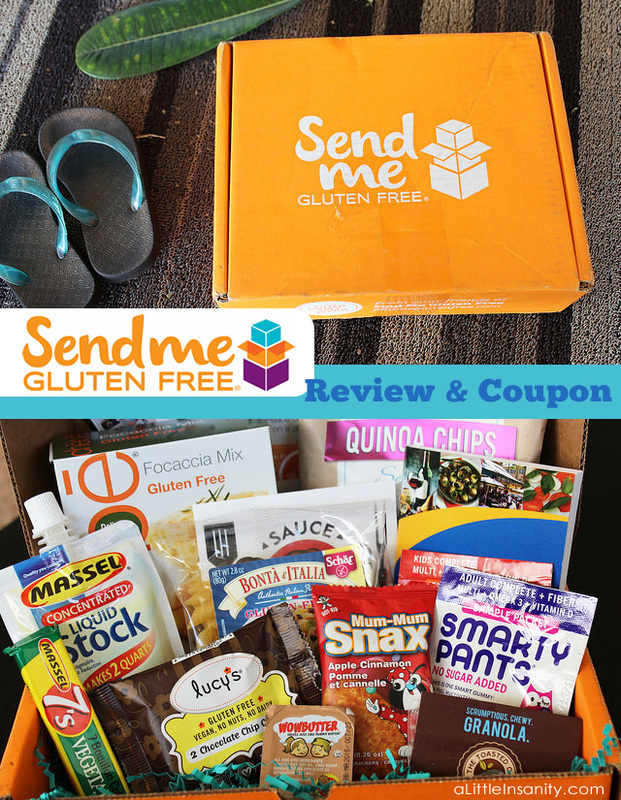 Send Me Gluten Free is a cool subscription service that sends you a box every month full of 8-12 gluten free products. The products come in both sample sizes & at least 1 full sized item. Items can include food, personal care items, nutritional supplements & even household products that support a healthy, gluten free lifestyle. 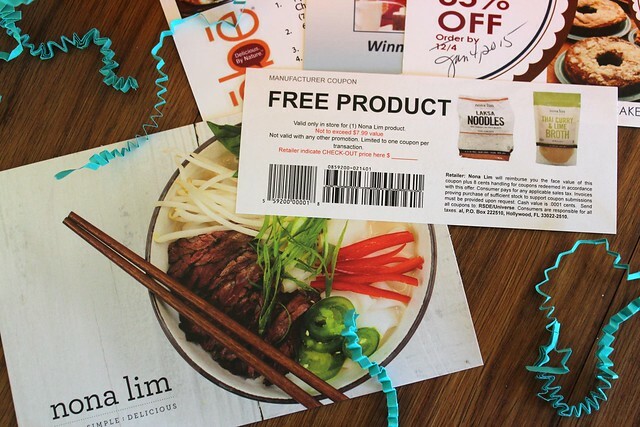 You’ll also get coupons, tips & ideas on ways to make Gluten Free living even easier. 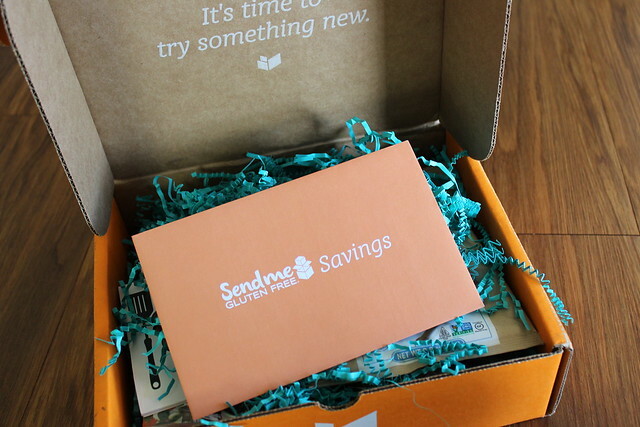 The cost to receive a Send Me Gluten Free box ranges from $20-$30 per month (with free shipping), depending on the length of the subscription you choose. Every month, the box contains new & different items – introducing you to a wide range of products. If you’re interested in trying out the service, use Coupon Code: BLOG20 or WELCOME20 to SAVE 20% off your subscription! I fully expected the box to show up with a bunch of advertisements & Gluten Free items I was already familiar with… But, I was wrong! 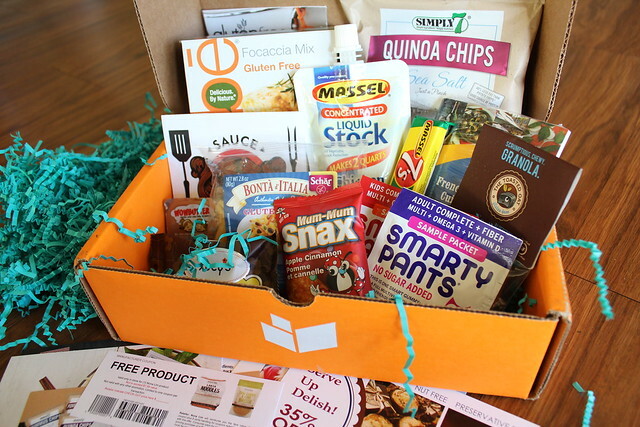 Instead, the box was filled with all types of foods & brands – some of which I never heard of. There was even a coupon for a free product in there! I was also excited to find a small pocket guide called the ‘Allergy Free Passport‘ – which gives tips on how to avoid allergens when dining out at French & Italian restaurants. I especially loved this, because as an Italian, I grew up eating many of the dishes mentioned & never thought to ask a restaurant how they might be able accommodate our special diets. I loved the funky packaging for the Sauce Goddess spice rub… it smells delicious too! The variety of items. I like that it wasn’t just cookies & snack bars… There were all kinds of things in there from Pasta samples to a full sized Focaccia Bread Mix by Chebe. Being introduced to new brands & meal ideas that are Gluten Free. Sometimes we get so used to buying the same brands over and over again, that we aren’t aware of the many other wonderful Gluten Free options out there! Doorstep delivery. How fun is it to get a surprise box of goodies delivered right to your door?! More Full Sized or Larger Samples – For our family, most of the samples were too small to share & didn’t give us all a chance to try them. More information on where I can purchase some of the items. I wasn’t familiar with some of the brands I received, so maybe an insert in the box, or a link to more info would be helpful. More Allergy Free foods – My kiddos can’t have a range of other foods like Dairy, Eggs or Nuts – but I understand that this service is focused primarily on Gluten Free and it would be near impossible to accommodate all allergies. Although their website’s FAQ’s suggests that more allergy free options may be forthcoming. 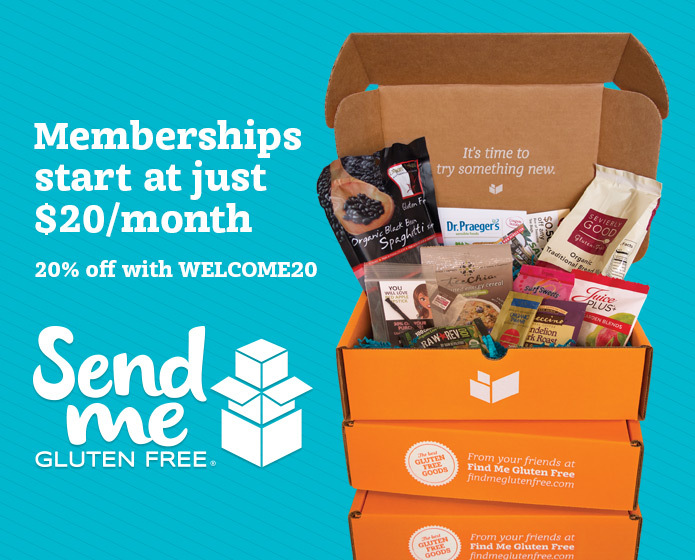 All of the Send Me Gluten Free subscription options include FREE shipping within the Continental US only. They do not currently offer shipping to Alaska or Hawaii. If this changes, I will be sure to let you know! I reviewed the December 2014 box… This is just an example of what you will receive. Each box will will come with a new variety of Gluten Free items to try! Send Me Gluten Free would also make an excellent gift for someone who has been recently diagnosed with Celiac or a Gluten Allergy. I can remember how overwhelmed I felt when we had to make the abrupt switch in our meals – this box offers so many ideas and hope for eating ‘normal’ again! If you decide to try out the service, I encourage you to use Coupon Code: BLOG20 or WELCOME20 to SAVE 20% off your subscription! P.S. The nice folks behind Send Me Gluten Free are the same ones that have have been helping the gluten free community for a long time. They’ve hosted the Gluten Free & Allergen Friendly Expos since 2007, helping thousands of people discover new gluten free products and learn how to make their lifestyle easier. In 2010, they launched the popular mobile app Find Me Gluten Free. It quickly became the #1 gluten free restaurant finder app, and has since added thousands of listings to help people just like you find safe places to eat locally and when traveling. I need your help. I am a senior citizen. I live on my own and I have to find ways to save money. I have come up with a plan to use the food saver and also freeze a lot of what I prepare. I will be making things like “twice baked potatoes”,”chicken ala king” , “lasagna” yada yada yada, Then I will freeze in proportions for later. What I may need help with is, what will freeze and what won’t freeze. But first I would like to plan and prepare recepes using a Kitchen Aid mixer. I saw it on your web site and now I can’t find it. Also could you teach me how to use Ebates? Do you know if you can specify any other allergens for this box? Or any preferences at all?